The Vancouver Aquarium and the National Oceanic and Atmospheric Administration have used an unmanned aerial vehicle to capture amazing photos and video footage of killer whales in their natural habitat. 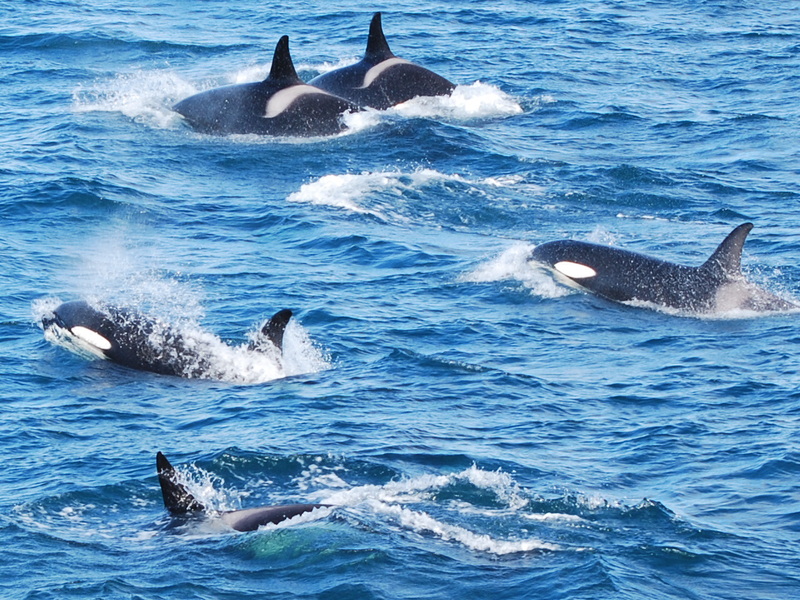 The researchers have two objectives with monitoring the killer whales: they intend to study how these killer whales relate in their natural environments, and they also want to monitor the individual health of these killer whales. In recording and analyzing the data from this marine life through aerial drones, researchers focused their research only on Northern Resident killer whales of the British Columbia. They found that it is much easier to monitor the health of these killer whales through the amount of salmon available for them to eat. Although two of the thinnest whales were missing by the time the UAV researchers were through with their study, they found that just studying the video footage or photos was enough to determine how fat or skinny an individual killer whale is. Unmanned aerial drones? Are there manned aerial drones? Duh…. An article on (and I quote the title) “superb footage of killer whales” that contains ONE (1) still photo, and no footage. Incredible. Cancel my subscription, if I have one.